Britain is a highly segregated society. It boasts the widest Gini coefficient of all the OECD countries in Europe when income inequality is considered. It is home to the most socially segregated system of education in Europe. No other European country has such a high proportion of children being privately educated in a way in which the spending on their education is so much higher than that spent on the other 93% of children and all without palpable national benefit. 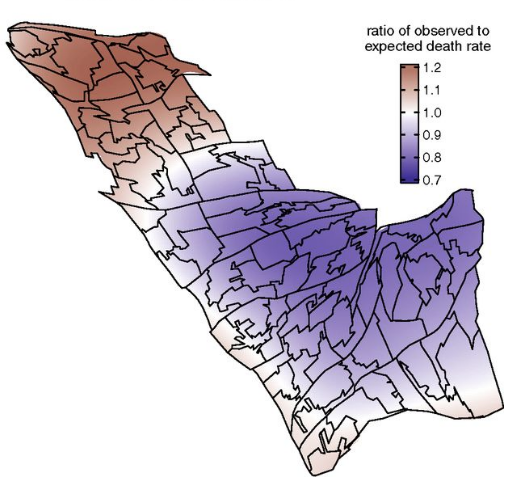 At the other end of life, in our old age, the UK boasts both some of the widest health inequalities in Europe and also some of the lowest expectations of length of life. We live in the most highly divided European society and this should be an issue of great concern, not least because it makes us more stupid and less healthy in aggregate. It also detrimentally affects even those at the very top. Perhaps to help illustrate the detrimental effects of living with great segregation the Prime Minister, Theresa May, makes a series of simple geographical mistakes in her foreword to the Integrated Communities Strategy Green Paper – Building stronger, more united communities. In her first paragraph she refers to the four countries of the United Kingdom as one country – failing to acknowledge the devolved administrations and differing approaches of other people from other parts of the Kingdom. In future, phrases such as this will be looked back at as being very telling of her and her governments’ thinking and beliefs. She follows a politics that is itself a product of great social segregation. In the European Parliament the Conservatives were forced to align themselves with groups such as the Polish ‘Law and Justice’ party; because they had so little in common with other European Conservatives. Contemporary British Conservative politicians often grow up on the fiction that when people ‘get ahead’ it is because their ‘hard work’ got them there. But it is very difficult to learn to treat people well when you do not grow up with them. 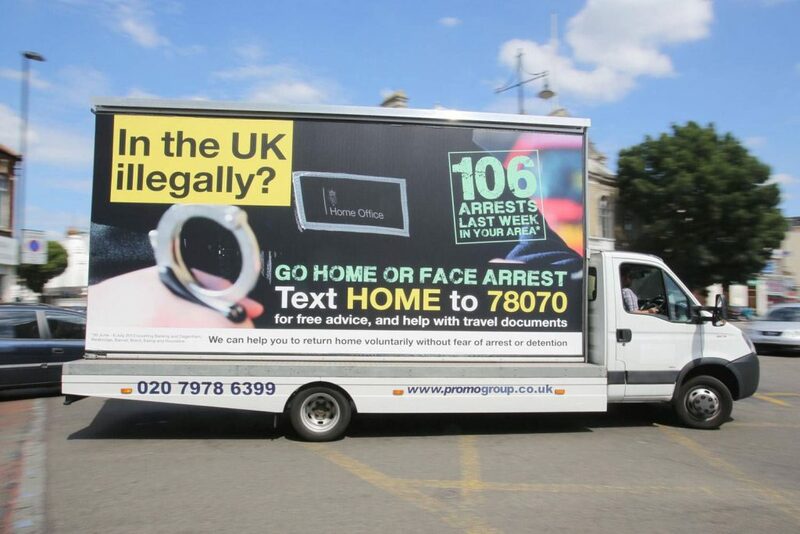 In 2013 even Nigel Farage criticised Theresa Mays ‘go home’ vans of operation ‘Vaken’. When, in her second paragraph, Theresa May suggested that ‘Britain is one of the world’s most successful multi-ethnic, multi-faith societies’, the actions of her own Home Office prove that not to have been the case. In her fourth paragraph of introduction the Prime Minister said that the reason to confront segregation is because it ‘undermines our unity as a nation’. She is obsessed with the idea of Britain as a nation, a single country, her country. In her fifth paragraph the Prime Minster claimed that the green paper will ‘tackle the root causes of a lack of integration – including a lack of social mixing in some of our neighbourhoods and schools, unemployment and poor English language skills.’ These are part of the reason some people are less integrated into society than others, but not in the way Mrs May means. For instance, while she was growing up she did not go to the same type of school as most other children in Oxfordshire, and many (if not most) of the young adults she met at university went to segregated private schools. It is not Mrs May’s fault that she does not understand Britain. She was almost certainly never been taught human geography well at her school or university and her advisors now are misinforming her still. She did not benefit from going to school where the most common language after English was Urdu. She did not go to a school with a wide cross section of society. She did not grow up in a diverse neighbourhood. She did not make friends later from a wide cross section. Why should we expect her to have integrated well? It was Tawney who best described the rights of the poor and the responsibilities of the rich. Tony Blair turned the phrase on its head. Mr Blair was also a product of private education. The Green Paper (page 64) proposes a new national survey to ascertain the extent to which people are aware of their ‘shared/common rights and responsibilities’. Perhaps the origins of the phrase needs to be better studied by those preparing this first. The entire ‘Measuring Success’ section of the green paper is risible. We are a divided society because the wrong people are today in power; selfish, individualistic, nasty people from ‘the nasty party’ as Theresa May herself once called it. Until a government not sponsored by the rich and made up almost exclusively of the rich is in power we should not expect progress. The PDF of article and a link to the version printed in Public Sector Focus in May/June 2018 are here.